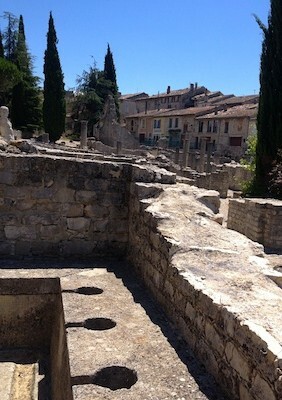 Vaison-la-Romaine was inhabited during the Bronze Age, and in the 4th-century BC, the upper city of Vaison became the capital for a Celtic tribe. 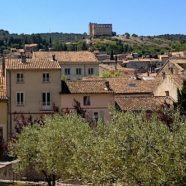 A place of vital significance in the early history of Provence, Vaision-la-Romaine extends on both sides of the river Ouvèze, with an upper self-contained medieval quarter with the look and character of a hill-village. From the 18th-century, most of the town had moved back down to the plains by the river, thus forming the “new” town. 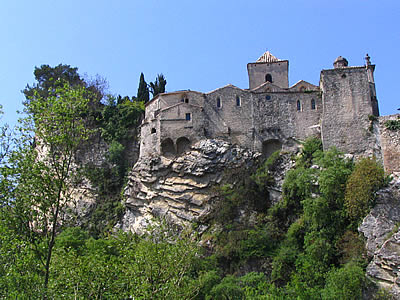 The Ouvèze River flows between the low-lying new town of Vaison and the rocky spur on which the medieval settlement, characterized by its fortress-like houses, is built. 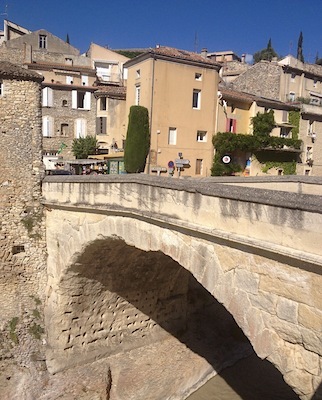 The Pont Roman leading to the “new” town spans the Ouvèze River. The single arch bridge was built by the Romans in the 1st century AD. It is still in use, and has survived severe flooding that swept away some more recent bridges. Many interesting details of daily life, such as the public latrines that were built inside a private mansion, have been uncovered at the Roman site of Puymin. 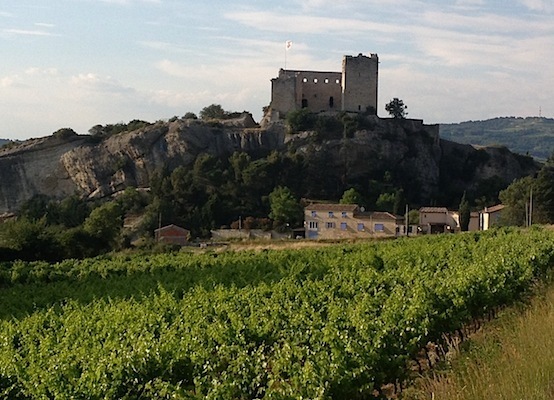 Standing exposed on its bare rock summit is the imposing shell of the castle of the Counts of Toulouse, from the terrace of which you can fully appreciate the beauty of Mont Ventoux (not shown), capped by its white limestone crest which creates the illusion of perpetual snow. Encircled by fragments of its medieval walls, its many cedars giving it a certain Tuscan character, this is a place of tranquility and slightly decayed charm which contrasts with the bustle of the lower town. 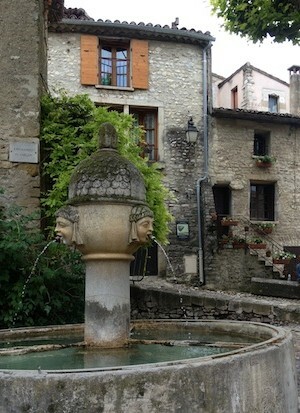 The charming fountain near the belfry in the medieval upper town, today home to about 50 inhabitants and as many art galleries. 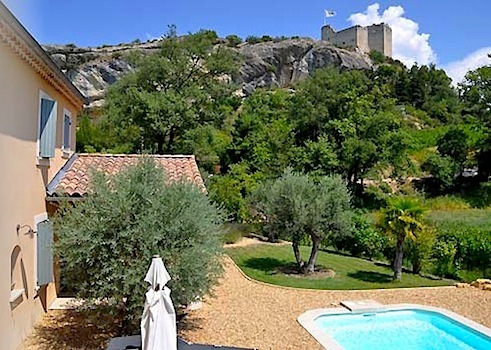 Experience Provence as an insider, as you live in a traditionally-built house for 7 nights. We have two houses for our use, positioned next door to each other, with a similar blueprint. Each three-bedroom home has a private terrace & swimming pool, washing machine and dryer, dishwasher, fully equipped kitchen, garden lounge chairs, and barbeque grill. Below outlines bed & bath arrangement for each house. This home, suitable for up to 4 people, has three-bedrooms, two bathrooms, and two toilets with lavatory. The bedrooms are located upstairs. Bedroom 1 and Bedroom 2 each contain a queen-sized bed. Bedroom 3 contains two sets of bunk beds (4 twins), and will not be utilized during the tour. 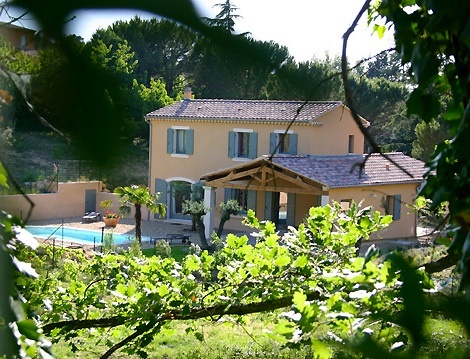 There are two bathrooms, both located upstairs: one features a single lavatory and bathtub with handheld shower wand in traditional Provencal style, while the other features only a walk-in shower. In typical European style, the toilets are separate from the bathrooms; one toilet upstairs and one downstairs. 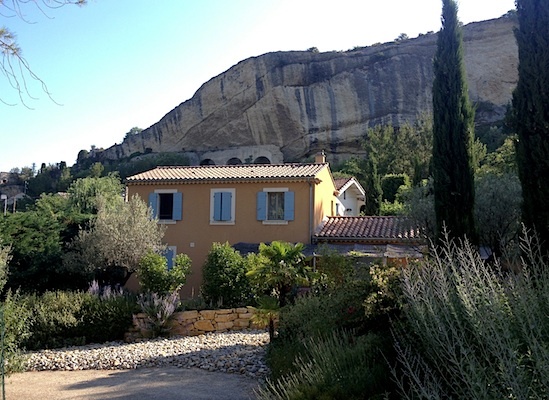 This home is ideal for 2 single travelers or 2 couples traveling together. This home, suitable for up to 6 people, has three-bedrooms, three bathrooms, and two toilets with small lavatory. Bedroom 1 is downstairs with a queen-sized bed and ensuite bathroom featuring a single lavatory and walk-in shower. Bedroom 2 is upstairs with a queen-sized bed and separate bathroom featuring a double lavatory and bathtub with handheld shower wand. Bedroom 3 is also upstairs with a two single beds (twins) and ensuite bathroom featuring a single lavatory and walk-in shower. In typical European style, the toilets are separate from the bathrooms; one toilet upstairs and one downstairs (please note: Bedrooms 2 and 3 share the toilet located in the hall.) Bedrooms 1 and 2 are ideal for couples, while Bedroom 3 is best for single travelers.